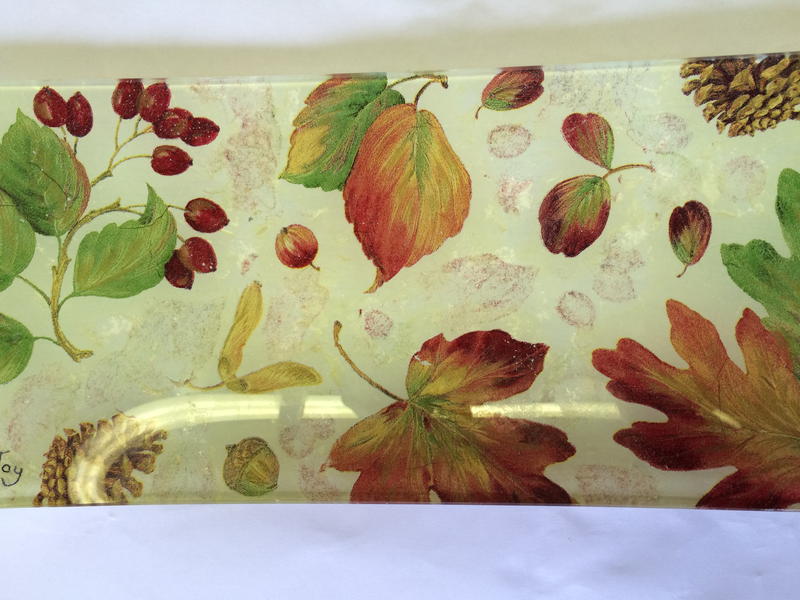 My second workshop last week was once again, decorating glass with napkins. 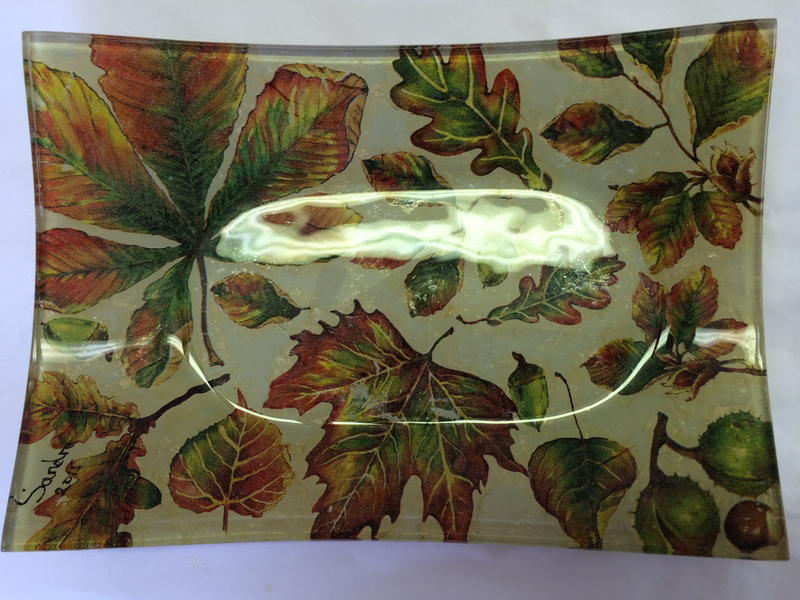 We had such a lovely afternoon, choosing our designs for both the glass and napkins and then applying the tissue in reverse and painting and varnishing the back. Hugo couldn’t resist a cuddle with Margaret! 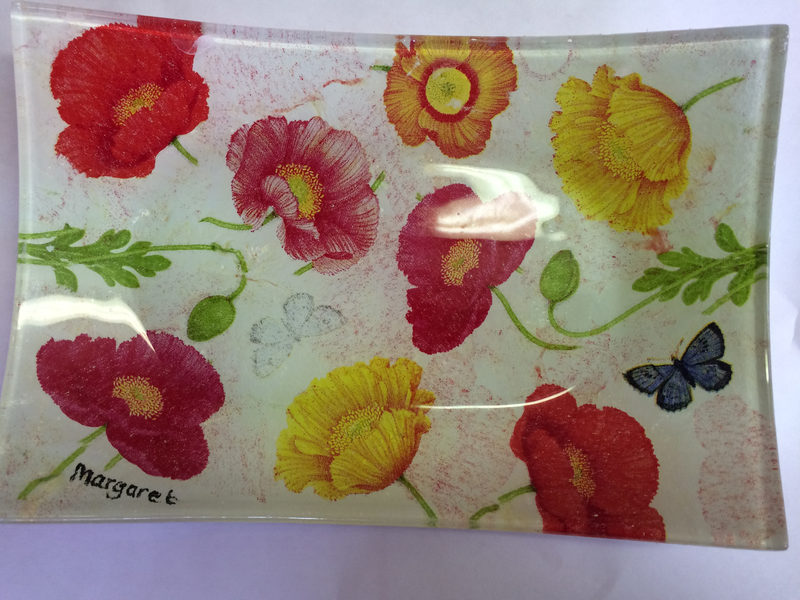 I think you’ll agree, their pieces were stunning….